K. Ramesh Reddy conducts research on biogeochemical cycling of nutrients in wetlands and aquatic systems. Reddy’s areas of expertise and research include biogeochemistry, wetlands and aquatic systems, soil and water quality, and ecosystem restoration. Reddy is a Graduate Research Professor and Chair of Soil and Water Science Department (SWSD) at UF. As department chair, Reddy provides leadership to faculty, staff, and students in carrying out the UF/IFAS mission in light of the Land Grant philosophy, developing a set of policies, and promoting department programs in instruction, research, extension, and service. Reddy conducts research on coupled biogeochemical cycling of carbon, nitrogen, phosphorus, and sulfur in natural and managed ecosystems as related to water quality, carbon sequestration, and greenhouse gas emissions. His early research as a biogeochemist focused on the fate of nutrients in flooded rice paddies, followed by applying biogeochemical principles to study nutrient/contaminant behavior in various ecosystems, including freshwater and coastal wetlands and lakes, as related to water quality and eutrophication. Reddy has served on numerous advisory committees at state, national, and international levels. 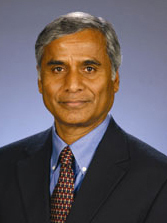 Reddy’s select awards and honors include UF Doctoral Dissertation Advisory/Mentoring Award (2005); Fellow, World Innovation Foundation (2004); Environmental Quality Research Award, American Society of Agronomy (2002); Sigma Xi Senior Faculty Research Award (2002); Soil Science Applied Research Award, Soil Science Society of America (2001); Fellow, American Association for the Advancement of Science (2001); Florida Research Foundation Professor (1999-2002); Fellow, Soil Science Society of America (1988); Fellow, American Society of Agronomy (1988); and Gama Sigma Delta International Award (2006). Reddy’s long-term goals are to develop biogeochemical indicators for routine use to evaluate pollutant impacts in wetlands and aquatic systems, develop tools to extrapolate process-level information to a wide range of spatial and temporal scales for use in restoration and management of wetlands and aquatic systems, integrate process level information into policy development and regulation, and promote interdisciplinary teaching, research, and extension programs with other disciplines.